Today, on 11/1, or 1/11 if you’re American (and wrong), I finished my 4th novel of the 2015 Reading Challenge. The repetition, whilst not directly relevant, does represent the autistic element this next novel provides. I absolutely love getting book recommendations (unfortunately it rarely – possibly never – happens in real life, as I am the reader amongst my friends) – any genre, any author, well known or not, if someone recommends a book (and I trust their perspective) I’m going to read it. 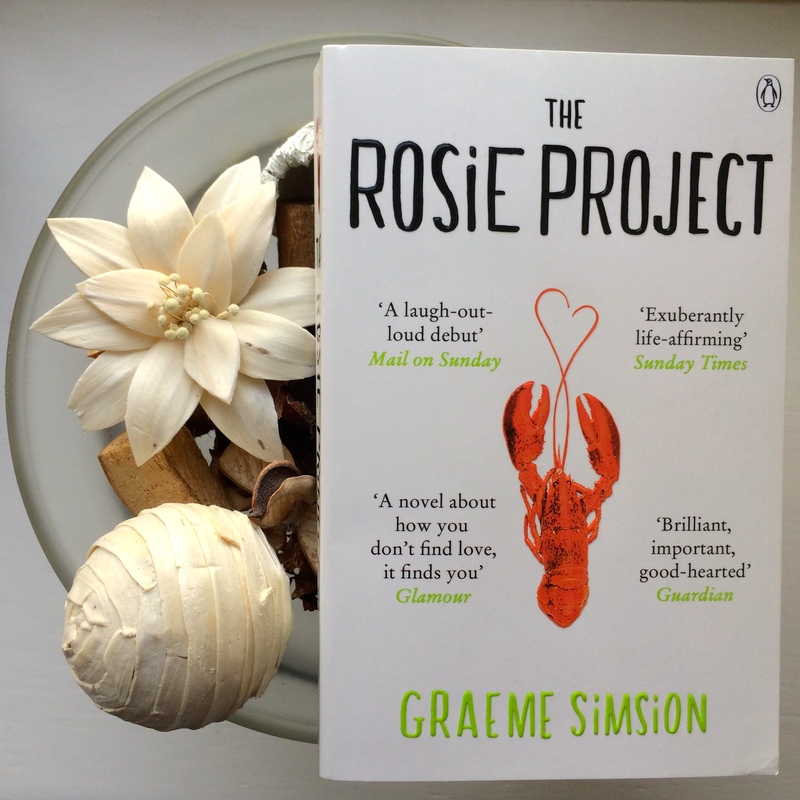 With “The Rosie Project” by Graeme Simsion, which is #8 A funny book on the 2015 Reading Challenge, the recommendation came from author Giovanna Fletcher, and subsequently her husband Tom (from McFly/McBusted). I had already seen it pop up on Amazon’s three for £10 list, so along with five other novels, I picked it up. I pre-offered this novel to my ex-English and headteacher grandmother, who is notoriously difficult to please, but she instantly rated it as “up there with the best books I’ve ever read” – high praise indeed. Since it passed her expectations with flying colours, it was the first of the haul I chose to read, and I’m so glad it was. “Think Sheldon from The Big Bang Theory, except with a wish to find a life partner, and you’ve got Don (Shel-Don). This novel begins with Don giving a guest lecture on autism to a group of autistic children and their parents, without much prior knowledge of the condition. Instantly I understood that Don is probably autistic himself, albeit undiagnosed. This novel is hilariously comic. I was so utterly amused by the book that I proceeded to tweet about it at approximately page 17 (you know it’s good when you’re tweeting about a book full stop, let alone at page 17). The book follows Don’s quest to find himself a suitable partner – he draws up an incredibly long and detailed questionnaire, to which potential respondents must satisfy all criteria. What’s the point in finding a wife if she’s not the perfect match?! Don’s best friend Gene (think Leonard from The Big Bang Theory, except with a little more good luck) sets him up with Rosie, who Don immediately thinks is entirely unsuitable, but over the course of the novel he realises his feelings for her. This novel had an interesting subplot, called The Father Project, where Don and Rosie are searching for Rosie’s biological father – this is how the two of them proceed on their adventure of eventually falling in love. Whilst I thoroughly enjoyed the majority of the novel, the ending felt a bit rushed (especially since there is a sequel). There was some slight confusion right at the very end, where I had to google who Rosie’s biological father was (I thought I knew at the end, but it wasn’t made abundantly clear). There’s no doubt that “The Rosie Project” provided a fresh insight into the world of the unlucky in love. One of the things I love most about this book is that the main character is a man. So often the main character is a damsel in distress, waiting to be rescued by her knight in shining armour, only to realise that the man of her dreams doesn’t exist, so she’ll have to accept his flaws. This novel was much more about Don accepting his own flaws, and working with his good characteristics to find love. He’s such an endearing and kind character, but would usually be overlooked as being weird. The kind of love Don and Rosie found is certainly not applicable to all, but it was cute and I willed Don to find “the one” from very early on in the novel. Four down, forty-six to go.